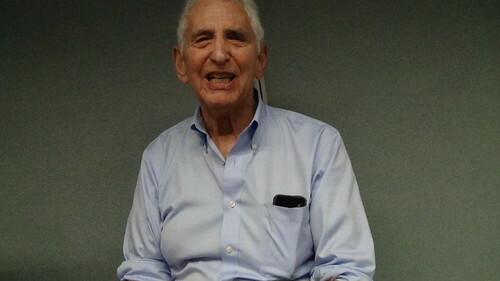 In late 1969, with the assistance of his former RAND Corporation colleague, Anthony Russo, Ellsberg secretly made several sets of photocopies of the classified documents he had access to - these became known as the Pentagon Papers. Randy Kehler never thought his going to prison would end the war. If I hadn't met Randy Kehler it wouldn't have occurred to me to copy those papers. His actions spoke to me as no mere words would have done. He put the right question in my mind at the right time.